After I have written the post and my status update in FB, many mums confessed and jumped into conclusion that they think they are one. Especially referring to the playing slide part. Having some rules for your child while playing the slide at the playground don’t make you a helicopter mum. What I meant was the mum we met was really really really getting into our nerves. I do understand that we mums set rules so that our kids don’t appear to be a nuisance in public or costing discomfort to others. Take for example the slide, mums only allowed their kids to climb up the steps and then slide down instead of the other way round for more safety reasons. For me, it’s not that I am selfish and don’t care. In our case, if there’s other little children playing around at the same area, I will remind my children to be careful and watch out for the little ones. Shall they want to do something funny, they have to wait until the area is cleared and the little one moves away. For my little one, I am always watchful by her side. If anyone wants to slide down while she is attempting to crawl up, I just carry her away telling her to let the other kids slide down first as it’s dangerous that the other kids may kick her and she is blocking their way. once it’s cleared, I put her back and let her crawl up again. Just as simple as that.. no need to say NO. As I observed, 10 out of 10 kids would attempt to crawl up the slide, other than just climbing up the stairs and slide down. And have you ever observed how other children, the older ones play when there are little kids around. They do know how to give way, avoid the little ones , look out for them (not just my children, most of the older children I met at our playground), very seldom they get carried away and run right into the younger kids. It’s their instinct. So instead of saying “STOP” “DON’T”, just remind them to be careful. Can’t she just give some approval like “Good job” “Well Done” “Yes, you can try but be careful” . She is like a hawk staring at her kids. She wasn’t very happy when her son plays with another boy that was there earlier. She was trying to control how they play and if she could, I guess she only wants her child to play very properly on their own and not running mad and wild with the other kids around. Stunts are not allowed. She also didn’t allow her little girl to squat and observe what’s on the ground. She doesn’t allow her girl to pick on the grass. Someone left a sandplay spade under the slide. Her kids wanted to touch and she was screaming at them to put down with a disgusted look as if the toy is filled with germs. We and the other children do leave our toys (skipping ropes, balls, bicycle etc) around and we all share and play. As long as we put it back or ask for permission. woohoo…. great…. peace of mind and peace on our ears else I really would have dragged my kids and leave the park earlier. Just recently (last Friday), I have attended a parenting seminar. Brought the children to the playground yesterday evening. 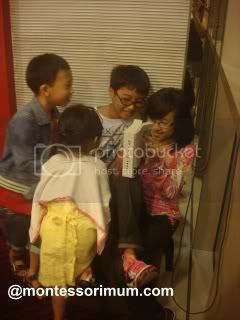 There were these 2 kids and mum group which we have not met before. (Boy about age 5-6, girl about 2++) . We didn’t pay much attention to them initially and proceed with our own fun, as there are also other kids around which my children know them. But then after staying on a while, something got into our nerves badly and we can’t possibly ignore these new comers to our playground. This mum is a HELICOPTER MUM! She is so annoying with her NOs, DON’Ts, CAN’Ts and FOLLOW THE RULE. Every sentence she speak is with a “NO” , “DON’T” , “FOLLOW THE RULES”. She keeps yelling at her children to follow the rules especially when the kids were on the slide. (Her rules were climb up the steps accordingly and slide down and repeat… no other ways are allowed on the slide) Oh, c’mon, give the children a break and let their creativity runs. I can hear her son protest “But MUM.. I am just trying to help!” (helping another boy who is also on the slide). As long as the kids are not in harm to themselves and others, why not let them explore other ways of playing? I do understand that some mums do so because they are concern that her own kids might cause discomfort to other people around (especially those with angels/special kids), or she knows that her kids are rowdier. But from my observation, these two kids are just plain normal kids doing what any other normal kids would do at the playground. We regulars at the playground, do say Don’t and Nos when necessary, but often we – mums, babysitters, maids, fathers, we sit aside and watch over our children (unless for very young babies and toddlers) and let them play freely. But this mum, hovers around her children, waving out the hanky and running after her kids to wipe their sweat. Everything to her also “CAN’T’. I wonder what’s the point of bringing the kids outdoor , to the playground and have so many restriction. JS and me found her to be so annoying that we wanted to leave the playground, we would have if she stays on for another minute. But thank goodness, she left not long after. I updated my FB status on this matter and I got respond asking me what did the mum say exactly. My friends were worried that they are like helicopter mums too. And oops..i have come to realize they do have restriction on their kids. I have came to realize, maybe some mums deem my kids as rowdy, samseng when they are at the playground. My kids have all sort of ways to play on the slide, swings and bars. And the way they play catch with their neighborhood friends at the park may not get approval from mums who want they kids to play by rules. It may not occur to us all the times, as everyone at the playground plays like my children, but now I remembered there were a few occasion that mum did pull their kids out early thinking my kids are bad influence. 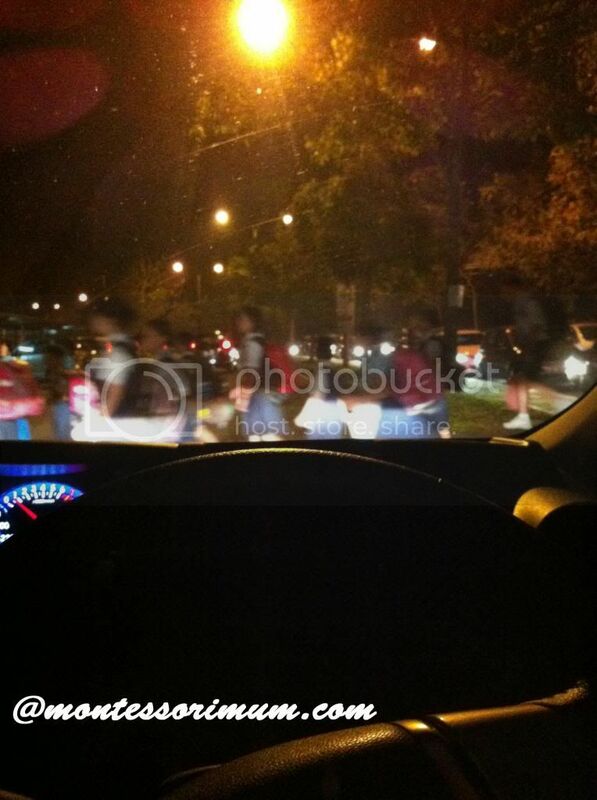 And usually they are not from our neighborhood, coz they don’t walk/cycle to the park…they came by car. So as the helicopter mum yesterday, I don’t think they are our neighbors, as they came by car. Children, like a group of ducks, a flock of sheep wearing down by heavy school bags walking into the school compound. Some not fully awaken , zombified. Sun already out, a bright day ahead. From my observation the past two days, there’s also a teacher or two standing at the gate to greet the students. And the students actually stop, hold the teacher’s hand and “bersalam” to the teachers. As we Chinese have so much pride in about respect to elderly, i think most often it is not practice. But for the Malay culture, they actually do it on a daily basis. By the way, the school I have chosen for WH is a small scale school. We have three 3 SK in our township. This is consider the smallest with a total of 500 odds students the whole school. For standard 3, there are only 3 classes. I think there are less than 30 students in his class. There’s another chinese boy in his class too. The new school term is going to start in less than 10 hours. I am dreading it already as I need to get use to getting up early again!! However, my kids are looking forward to going back to school. They are excited and started getting ready of all the necessary. It’s not like they had such boring long holidays at home that they can’t wait to be back to school, we had tonnes of fun, doing loads and yet they miss school. For once I fought hard to homeschool them, thinking that it will be the best of them. As JS had not a very pleasant preschool school years, in fact the last year, she was traumatized when we shifted cross state and got her transferred to a new school. It was then I started joining the homeschool community. I was unhappy when hubby was against my idea. I tried hard to convince him. 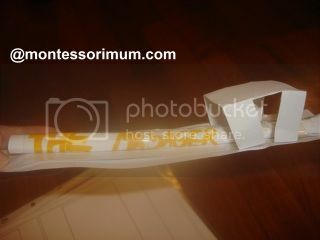 I felt like a failure not able to give them all the best that homeschooling can offers when I have all the resources. I felt jealous of all the homeschoolers and thinking of all the best that my children are missing out. At the same time i have friends that is complaining loads about the school syllabus. What changed my view is that I met a few school going mums that is pro homeschooling. We tried to balance out what the school can’t give. They inspired me. I guess the most important is the parent’s mindset. I think the children can feel it. I particularly like what Madam Poh Yew, a former school teacher, a motivational speaker said. She said “I have the ability to make very thing positive even in the most negative situation” . She raised three very successful children and at that time (15 – 20 years ago) she didn’t even know what is homeschooling and unschooling. But her kids are school goers and what her kids did after school was pretty much unschool. I am sending a lot of positive vibes out to the children and not instilling any fear in them or putting pressure on them. I do it with the most sincere heart without doubts on my own action and feeling. With a positive mindset, my kids take to schooling with a positive attitude too. 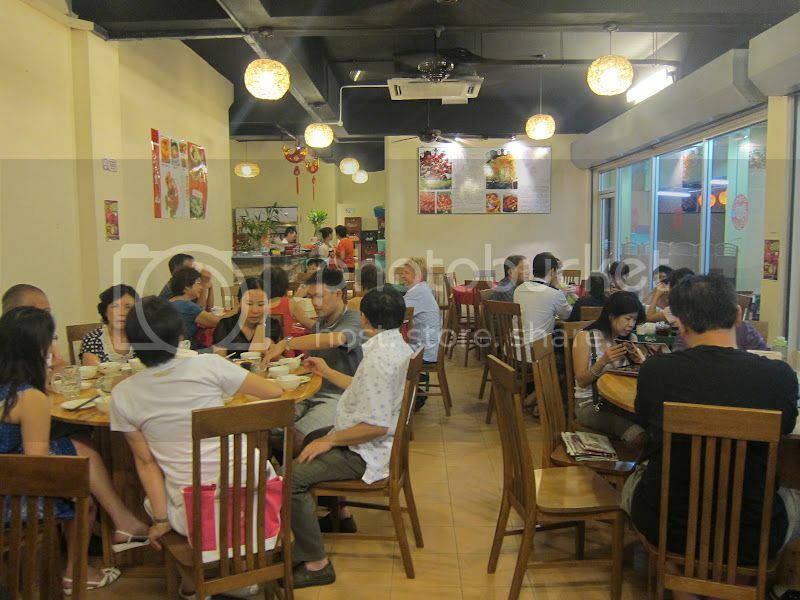 Last Saturday, we went to this restaurant “Da Feng Shou” （大丰收） at Ara Damansara for family dinner. It was suppose to be an early birthday celebration dinner for SIL#1 and JL where their birthday falls on 5th November. However the family meal time turned out to be an unpleasant evening for us. Lest not mentioned about the extremely slow service at this restaurant. It was one of the patrons at the restaurant that night that ruined our evening. Since there were 10 of us, we already made early reservation at the restaurant. We reached there on time at 7pm. The restaurant was already packed and busy. Next to our table was a group of mothers with their kids waiting for their food to be served. Three mothers, one maid and 5 kids( with the youngest about 3 years old and the rest ranging between age 4-5 ) to be exact. I reckon it’s probably is a mother’s night out. Perhaps they are just SAHM like me having a long needed mother’s gathering, time out session. At first we didn’t pay much attention to them. We waited more than 40 minutes for our food and they were served before us as they arrived first . But throughout the wait, JS did mention to me that the kids were really noisy, hitting the chopsticks on the bowls and cups. (and obviously the adults did nothing to stop them) I told JS it’s really none of our business how these kids behave. Afterall the chattering noise from the other diners were enough to fill the very small dining area and the clinging and clanking sounds of a chopstick doesn’t make much different. This is really a very small restaurant with just eight tables indoor and a few more tables on the five foot way, leaving a very narrow walkway between tables to the entrance. This is the view of the restaurant we dined in last Saturday. I didn’t take this photo. Photo source from the internet. That’s not the end of the story yet. Just before they left, this mother who talk so much, all the sudden banged on the table so hard that stunned everyone at the restaurant till there was a pin drop silence. It was like showing she can behave just as she wish. JS told me later “Mummy, she said she doesn’t care if her children tear down the restaurant “ That really annoyed my hubby a lot. We lost our appetite and didn’t want to wait for the rest of the dishes. The woman in black in the hooligan. I know I am not all righteous. The way I raise my kids may not be perfect to others and my kids are not goody goody perfect as well. But I totally disagree with her that the restaurant is a public place, they are kids and hence they can behave just and how they like without any control. I do understand children’s behaviours well. I understand they can easily get restless and they need to be moving about all the time. But as adult, we really should be teaching the kids about social , grace and courtesy. It is never too young to teach a child table manners, it is never too young to teach a child how to behave during outings. How to talk and behave in public places such as the library, swimming pool, post office, museum, restaurant, places of worship. I agree with her.. the restaurant is the public place but that doesn’t mean they can behave just how they like without considering the other patron/diners’s feeling. Without considering if the act could be a nuisance to other, making others feel discomfort. 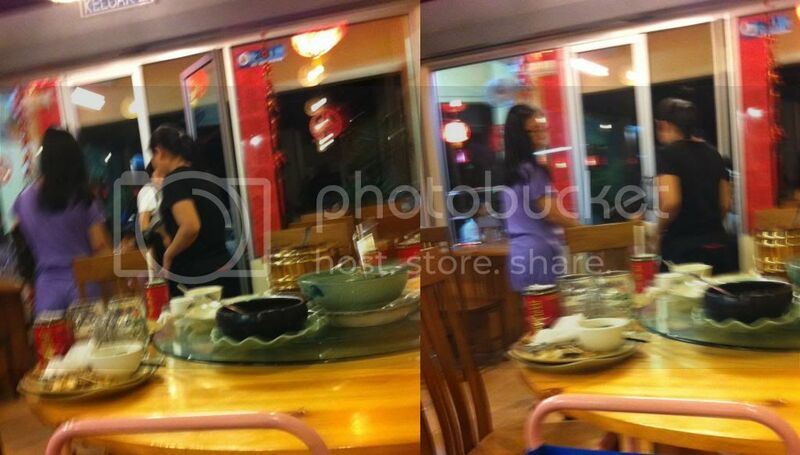 Moreover, the restaurant can be a hazardous place to play. Imagine it is such a narrow walkway and a busy restaurant with waiters and waitresses walking in and out serving hot food. As an adult, a responsible mum, it’s that her duty/responsibility to keep the child checked, so that the child is not on the way making the workers more difficult to work? Do the mums expect the waiters and waitresses constantly check out the kids without knocking/pouring and scalding the kids? What if the kids suddenly run and knock on the workers carrying hot dish? I am sure the mums will blame the workers. I am not being rigid. Not allowing kids to run about in a restaurant doesn’t mean that I am a militant/tiger mum who does not give freedom to child. When we give freedom to children, it has to be freedom within limits. It has got to be deem appropriate according to place , timing and event. 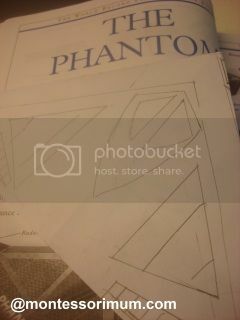 In order to get the same effect, he has to not only read and follow the instruction, but to measure and cut it to size and even draw and design it. One of the complete model. It has come to a stage that I need not have to be involved in their craft. They only show me the end product to take picture. “why can’t my plane fly straight? 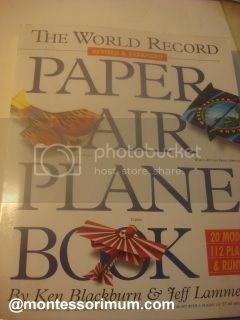 ” “Is the tail too heavy..I think so” “Maybe I should use another type of paper” ” Paper is heavy right?” “I shouldn’t use cellphone tape at the tail, it cause the plane to be heavy and somersault” “if I do…maybe…” etc etc… and he proceed with his own modification to make the plane fly better. To me, the whole process is a learning process. It is critical for a child to able to ask questions , think and find solutions. This is what our education system is lacking, but I am trying as much as possible to provide the opportunity for them to learn something out of the rigid spoon feed system. The two older kids are having school holiday this week due to UPSR exam. They spent their waking hours playing, drawing and flipping story books. Yesterday when I was busying downstairs, they were all playing upstairs. They always have the ability to come up with activities to entertain themselves. 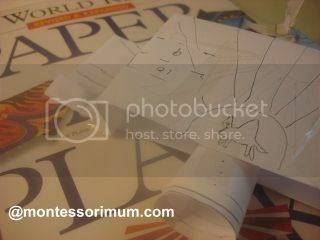 When I went upstairs, I realize they were passing messages through flying paper planes. The first question that flashed through my mind was “how much can WH write?” (knowing that he knows how to spell and read very limited words) but the sister ensure me that WH did write and know how to spell. The paper plane that they slot message in the tube and fly to each other. Kids do learn through play. We really need not have to teach/drill them but to guide them, motivate them and provide them the environment to learn. In this case, WH had to try on his own accord and will to write and practice spelling and sentence construction without realizing it and the sister has to help coach and correct him. Instead of me getting her to sit down and coach the brother. There were many instances that they do learn through play from maths to science and to language. Seriously, my own opinion is that , why do we have to be a trend follower? Why can’t we be a trend setter. If you child loves to read, draw and invent own games, why do they need to feel awkward that they are not into gadget instead? Why can’t the other kids follow them to read and draw? Look at Tan Sri Vincent Tan, he made money from FB, he has FB shares, but he doesn’t have a personal FB account. Same thing, one do not need to play iPad, angry birds to know about iPad and angry birds… those who comment so are quite narrow minded. Recently JS’s bff brought over her ipad to “show off” to her. Initially I thought that ipad is a family gadget, but later JS told me it belongs solely to her friend. Her mum bought it for her since the secondary school going brother already own a laptop (which I believe is used for playing games and fb more than any other proper use). I realize that most often than not, working parents are the one who will indulge their children in these materials goods/needs to compensate lost time with the children. I am glad that my children never pester me to buy any for them , neither do they feel envy over their friends. They know what is necessity and they know we are not depriving them that they feel left out from their peers, we are not so conservative to shut them off from gadgets, but we provide what is necessary. For example we did not hesitate to get JS a bamboo pad as well as an electronic dictionary, which we think will help her in her work. It is very common scene at the eateries now that everyone on the table are busy with their gadgets and don’t often talk to each other, sometimes they even use gadget as an ice breaker… but it has never the case at home with my children. Recently SIL host a dinner for her guests and the children who only meet each other once a year did not need gadget to break the ice and they are talking and playing together already.. In the van. A standard 2 girl (different class), tried to push him towards other girls in the van and attempting to get WH to kiss those girls. He told me even before this incident, they have been teasing him about him having girlfriends. He said he is upset, but never fought back. Because I told him no point to argue over what people likes to say about you. You can’t control what other people say. I was very heartbroken when I listen to his tale and seeing him cry. Feel really sad that I was not there for him. I told him that I will go have a word with the bullies. I did the next day. I personally went to the school to pick him up, with all my three powerpuff girls tagging along. First I spoke to the transporter. 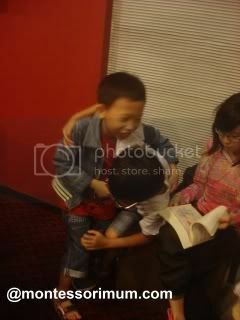 He said it is just normal kids squabble, not really a big deal as the next instant , they will be friend again. He also mentioned that the girl is always a busy body that likes to provoke others. And mentioned that the moms of these two bullies actually quarreled among themselves before. When the kids were out from the school. I caught the bullies and send my message loud and clear across that I don’t stand any nonsense from them of bullying my son again. 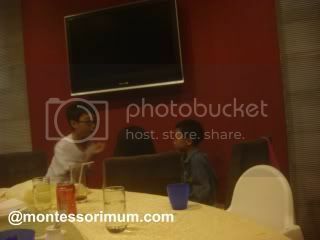 I took their photos and threaten them that I will post in FB and send it to the authority shall the bullying continue. My intention of getting them is not to ask for apologies. My intention was to warn them don’t fool around with me. One thing I am very proud is with my powerpuff girls. They are real fighters and they do stand beside their brother as a family in incident like this. That night, the girls were really mad. The said comforting words to WH like how they want to revenge , in a very defensive tone. Even little baby who has not much speech is hugging and rubbing her brother. The next day as promised, after JS finished school, she went to hunt the bullies to give them warning before I went to see them in the evening. She did that despite of risking being scold by the afternoon session teacher and despite being stop by the junior prefects in the afternoon school session. Now, here’s something to ponder. Am I overreacted? Am I over protective? Is this consider a serious case of bully? Have I dealt with it correctly especially on the bullies part? I know very well that I should be jumping over and be so defensive , I know that certain times, my kids need to be trained to defense themselves. But in this case, I still strongly feel that I should go and give them warning. I want my son to trust me that I am there listening to him, I am there for him, I am there to protect him as a mother. I don’t want him to start having a feeling that when he tells me something, I do not react upon it and eventually he will seize telling me what happen, because I am giving him the impression that I don’t care. Then , there comes the advise that I should speak to the teacher, the principal of the school and the parents of the bullies. Now , this happened outside school. I do not know if they misbehave in school or not, does that justified that the teacher/principal should have a hand in it? Tell the parents? If these kids are bullies, I don’t think they have a very good family upbringing. The kids behaviour are often the reflection of the family, their parents. What good to talk to the parents, if the parents don’t see their own problem and change? For the time being, I don’t have time to lecture and talk reason to the bullies. My priority is to prevent my son from being bullied again.